With each passing year, things are changing dynamically. 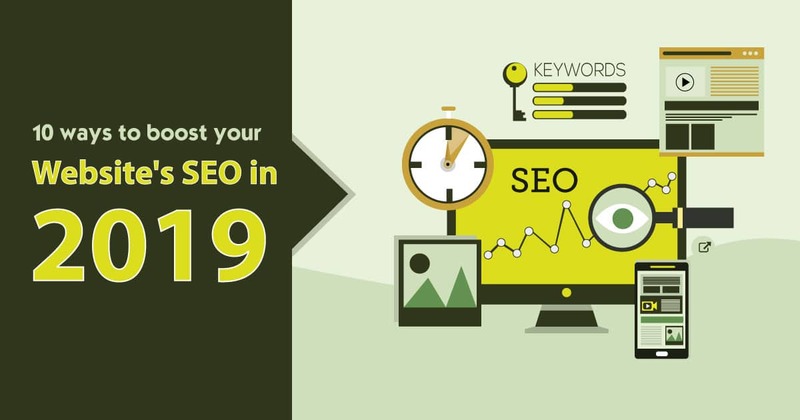 Similarly approach of SEO is fast changing and in 2019, audience will be the core and SEO will be all about them. For beginners who do not know what SEO means, SEO is the abbreviation of Search Engine Optimization. It simply means improving the placement of your website in the search engine ranking to increase the number of visits to it, by improving and working on the content marketing. In 2019, SEO will focus only on the audience. If one wants to improve their content marketing strategy and see a higher ROI, they will have to start using people practices which will be advantageous to them. Highly ranked content which drives traffic is always user-focused, as when you write in the right manner to the right people, nothing can stop your writing and content from reaching the top of the ranks. Loading speed plays a very important role in determining the ranking of your page on a ranking algorithm of Google and other search engines. At the same time, users are no longer ready to spend an extra few seconds waiting for a page to load. If a page takes longer time to load, the user will exit and visit your competitor’s page. You can check your website’s loading speed by looking into the Google Speed Insights report. This will help you keep a track of the changes in the loading speed with any changes made on the website. All the measures which are taken on the website for improving its position in the search rankings of a search engine are called on page optimization measures. On-page optimization are the factors which impact the web page listing in search results. These factors can be managed and controlled by making coding changes on your webpage. Optimizing content, improving on the meta descriptions and title tags, HTML coding, Keyword placement are few examples of on page optimization. One of the crucial steps to boost your website’s SEO is image optimization. A comprehensive SEO includes a planned use of curated images which will resonate with the viewers, and at the same time are relevant and of importance to the content on the page. Google gives great importance to use of right imagery for a higher SEO ranking. They have shared some really useful tips on image optimization in their guidelines for image publishing. As already mentioned visual communication is highly stimulating and can aid a viewer to receive and understand information better as compared to only text content. Visual effects usually have an unconscious impact on the mind, and a customer can remember them for a longer time. Use of different multimedia like videos, slideshows, audio are favorable means to deliver content. Other than the huge impact on the customers’ mind, use of multimedia in content is also positively judged by search engines. It really helps in improving the pages search engine ranking. Good and informative multimedia are classified as qualified content offering real value to customers. Offering links from your website or content to other reliable authority sites can help your customers find beneficial and dependable sources of information. These external links are used for verifying facts, offer backup sources, or for leading readers towards the right resources.These links can significantly improve your websites relevance. The links used should be very reliable, useful and should be used discreetly. Too many outbound links in your content will make the blog difficult to understand and confusing. Search engines search for keywords on your website under different elements, and then determine your pages rank and whether your webpage should or should not be ranked under certain results. Proper keyword utilization will help in getting your page indexed for specific searches. Keyword research for SEO will help you find the right keywords which can be included on your webpage. The webpage should focus on offering good content to the readers which will help in driving conversions. Do not try to stuff your content with unwanted keywords. Use them naturally, let them not look forced in the content. Dwell time is the time spent by a visitor on your website. This dwell time determines the usefulness of your content to the viewers and if the content is interesting enough for them to stay on the page. Use of attractive and dependable content along with eye catchy visual aids help in keeping the visitors longer on the page. Use of right keywords, right number of external links, informative videos etc can improve the content of your page and help retain the viewers interest to stay on the page longer. Today consumers spend maximum amount of their time on exploring different tyoes of content on their mobile devices. Hence Mobile optimization is very important from SEO perspective. The process of modifying your website content, so that visitors which access the website through a mobile device, have a customized experience on their device is known as mobile optimization. This content can easily flow on both desktop and mobile devices, providing an amazing online experience on both platforms. Mobile devices have small screens and optimization will ensure that the content easily fits on smaller screens. Images, videos, messages all are optimized for a better viewing experience. Social Networking websites are so well developed now. Sharing and mentioning on social media websites is very common now, and people use them to express their opinion and to show their intent to purchase. Hence social sharing now significantly plays an important role in the customers buying decision. Incorporating a Social sharing button, along with integration with social network websites, is very important to satisfy the ever growing social network users. Searchers really appreciate these features and this will result in a higher website ranking for you on search engines. Extensions like Shareaholic, WP Social Sharing etc. help in activating social share button on your page. Website Audit Checkup is a thorough evaluation of the website. This evaluation grades and ranks the site depending on its capability to appear on different search engine results pages. Audit should be conducted by completing each step on the audit list and search for any issues which require attention and need to be changed or worked on. Check for issues which need to be solved to boost the search engine ranking. The website audit checkup is like a final report card for your website’s “Googleability.” The website may be attractive, well designed, well coded, but if search engines cannot read the pages of your website, the hard work behind building the website will be wasted. It is very important to regularly audit the website, to ensure it is error free and “Googleable”. Previous PostPrevious Google Responsive Search Ads – What you need to know about them ?